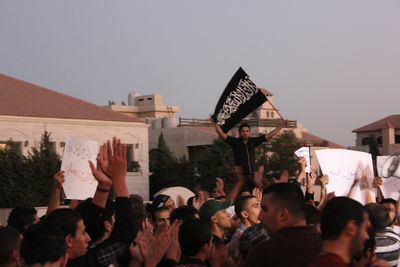 A protest of about 150 demonstrators gathered in front of the U.S. Embassy in Amman, Jordan near dusk on September 14, condemning the now infamous YouTube video that insulted the Prophet Mohammad, and chanting anti-American slogans. 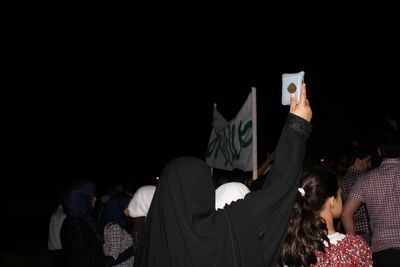 One of the few woman in the crowd shakes her Koran at the U.S. Embassy in Amman. 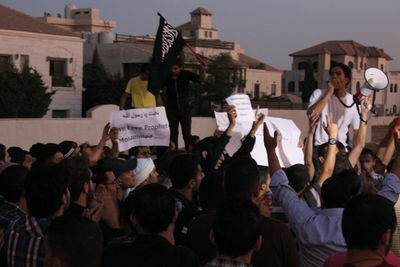 A protest of about 150 demonstrators gathered in front of the U.S. Embassy in Amman, Jordan near dusk on September 14, condemning the now infamous YouTube video that insulted the Prophet Mohammad, and chanting anti-American slogans. 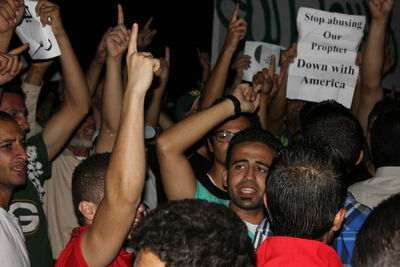 Protesters gathered in front of the U.S. Embassy near dusk in Amman, Jordan on September 14, chanting anti-American slogans. 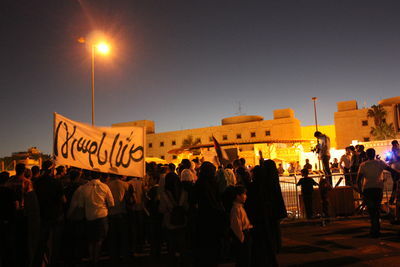 The crowd of about 150 each shakes an individual shoe in unison at the U.S. Embassy yelling, “We said goodbye to Bush with two shoes,” as a warning to Obama to be careful.